Originating from Davao. Offering takoyaki balls, japanese vegetable balls. Yasai Chikara Takoyaki, founded by Mrs. Lina Santos, started in 1995 in Victoria Mall in Davao City. they are one of the first outlets offering the Japanese healthy snack takoyaki balls in Davao. Takoyaki balls are known to be a healthy snack, a good source of fiber, protein and carbohydrates. Considered by some as a complete and heavy meal, this is one savory healthy snack that many would truly enjoy. With the growing demand, Yasai Chikara Takoyaki started expanding its business, putting more branches in Gaisano Mall and NCCC Mall in Davao city from 2002 to 2004. It is currently managed by Mr. Gerald Paña together with his wife Mrs. Nancy Santos Paña. They are now offering their business for franchising. 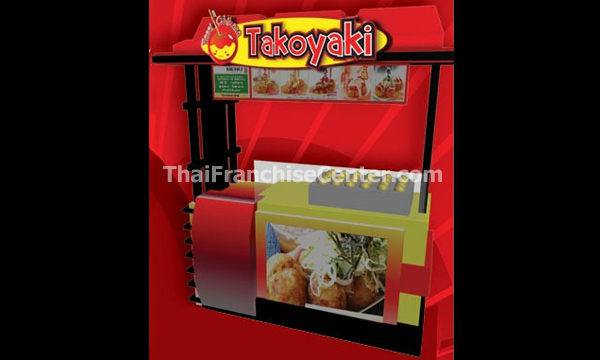 Their franchising system was developed with the help of RK Franchise Consultancy Inc. They are also a member of the Filipino International Franchise Association (FIFA). Yasai Chikara Takoyaki franchise package fee is P199,000. Initial term of five (5) years.